The New Orleans Marriott lowered the guest room rate for non-federal employees to $119/night + tax! If you already made a reservation, the hotel will automatically lower your room rate in the system. NCER 2018 will be held at the New Orleans Marriott, where you’ll be able to experience the energetic nightlife, buoyant music, and authentic cuisine of this exciting city firsthand. 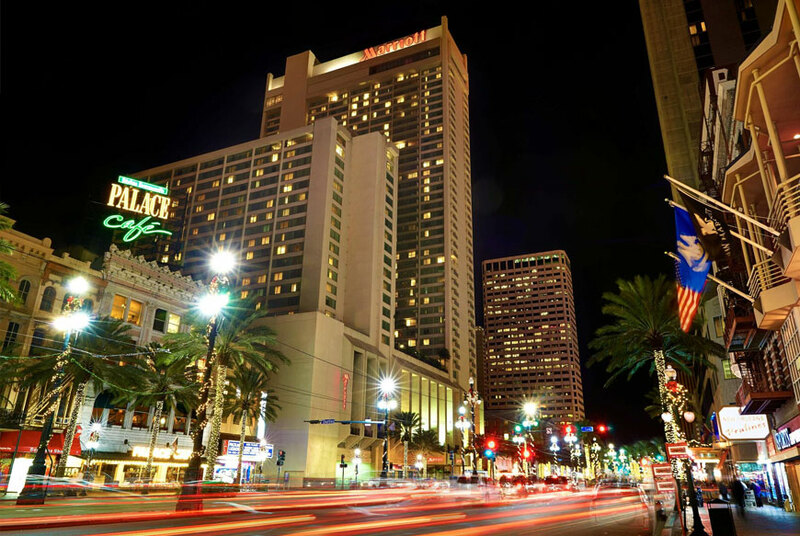 Situated in the heart of the French Quarter, the New Orleans Marriott is within walking distance to premier attractions, including Jackson Square, Audubon Aquarium of the Americas and it is just three blocks from the world-famous Bourbon Street. There is an additional $3.00 per room per night city occupancy fee. The Convention & Visitors Bureau assesses 1.75% per room per night. *The federal per diem rate is only available if you are employed by the federal government. To receive this rate, follow reservation instructions provided below. You will be required to present a valid federal government photo ID at check-in, or the room rate will revert to the standard group rate of $119. The reservation deadline has passed, however, the hotel is still accepting reservations at the discounted group rate for NCER. The discounted room group room rate for NCER is $119/night. ATTN: FEDERAL EMPLOYEES: If you are employed by the federal government, you qualify for federal per diem of $109/night. Federal employees must present a valid government photo ID at check-in. NOTE: If you do not have a valid federal ID, the rate will be changed to $119/night. To make a hotel reservation or to change an existing reservation, call the hotel’s main reservation line at 888-771-4429. Be sure to specify you are an NCER attendee in order to get the discounted group rate. Government participants: To receive tax exempt status, payment must be made in the form of a government issued credit card and be accompanied by either a federal sales tax exemption certificate or state issued exemption certificate presented at check-in. Click Here to view a detailed list of hotel and parking information. Complimentary wireless Internet in guest rooms is available to those who are enrolled in the Marriott Rewards program. Click here for directions and a Map and Transportation Information. It is possible you may be contacted by a company claiming to be the official housing bureau for this conference. These unscrupulous companies contact exhibitors and attendees, telling them the guest room block is sold out. The company quotes a rate at another hotel, claiming it is an official room block and that you must reserve through them to get discounted rates. Then they ask for your credit card information so they can make a reservation for you. DO NOT FALL FOR THIS or you will lose your money. This scam is affecting conferences nationwide. So no matter what meeting you attend, always use the hotel reservation links provided on the host organization’s web site.